Detail : Paul's fortieth single. 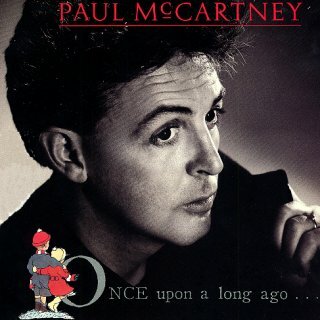 An odd release, in that it was lifted from the "Greatest Hits" album, All The Best, and yet of course, had at the time of the album's release two weeks earlier, NOT been issued. 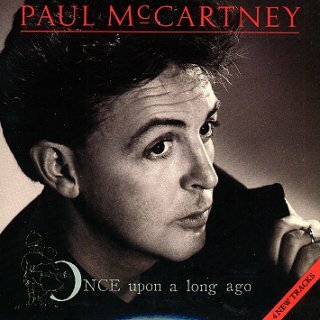 "Once Upon A Long Ago", a McCartney composition, was produced by Phil Ramone and mixed by George Martin, and features violin by Nigel Kennedy. 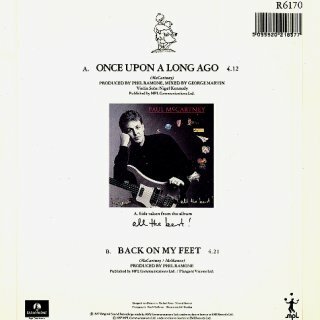 The B-side was written by Paul with Elvis Costello, who's name appears in the credits under his real name of "McManus". The alternative formats released along with the standard 7" are somewhat of a marketing enigma, as different tracks were included. 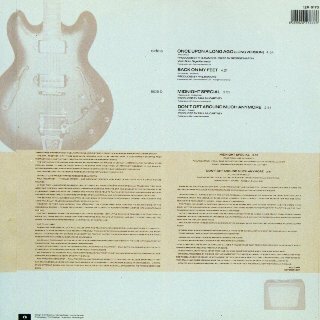 But obstensibly the extra tracks were to promote the CHOBA B album as they all would eventually appear upon it. 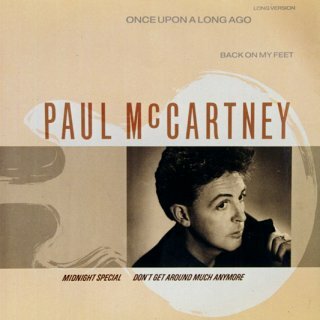 The 12" initially released at the same time as the 7" added "Midnight Special" and "Don't Get Around Much Anymore", with a longer version of the A-side and "Back On My Feet". The C.D. 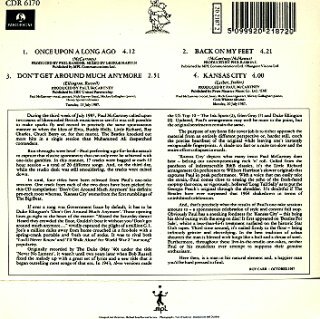 issue added "Don't Get Around Much Anymore" and "Kansas City" but only had the standard length A-side with "Back On My Feet". And then one week later an extra 12" was released, with a 6:06 version of the A-side, "Back On My Feet" and added tracks of "Lawdy Miss Clawdy" and "Kansas City". The single was released in a picture sleeve with photography by Tim O'Sullivan.